Marsha Hartford-Sapp is originally from Maine, coming to Tallahassee to attend Florida State University in 1998. After receiving degrees in Psychology and Political Science in 2002, she then returned for her Masters in Public Administration. Since delving into the professional equestrian community, Marsha's equestrian center has focused on the "Complete Equestrian Education", with a focus on developing the young horse, and developing the young rider. The equestrian center not only teaches classical dressage, but hunters, jumpers, and training the young horse from the ground up. Passionate about "least resistance" training, Marsha has made a name for herself nationwide with her effective training techniques and outstanding young horse development program. She has entered sucessfully, and made top 5 placing 3 different times in the national "Extreme Mustang Makeover" competition. 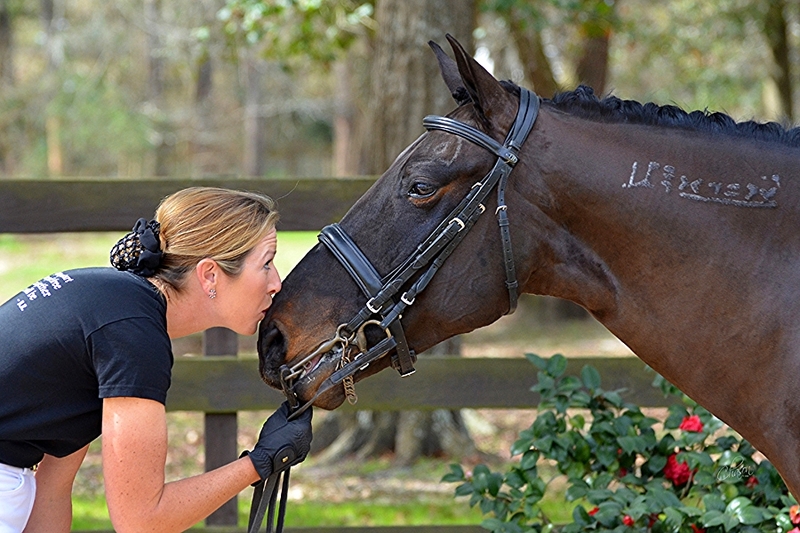 Marsha has been the President of the Southern Hunter Jumper Association, President for the Southwind Eventing and Dressage Association, and is a current coach for the FSU Equestrian team since 2004. Marsha Sapp also uses the Aspirant Technique, a sophisticated balance and timing of the aids developed by Carolyn Sharpe Rose at Isaac Royal Farm. The horse is asked to balance in self-carriage from the very beginning with light use of the reins. The horse comes through the back from the use of the seat so that the horse really dances with his rider. The horse learns to yield softly and be supple on both sides, staying relaxed and happy in his work. Marsha is a certified instructor of the Aspirant Technique. The philosophy at Southern Oaks is to teach the rider the language of the horse to ensure that the horse enjoys his work and shows no resistance to training. Southern Oaks Equestrian Center is the only location in the Southeast with a certified "Aspirant Technique" instructor, and is pleased to share it's intriuging, game changing ideals with others. An informational book series has been written by the master trainer Carolyn Sharpe Rose, and is available to students. 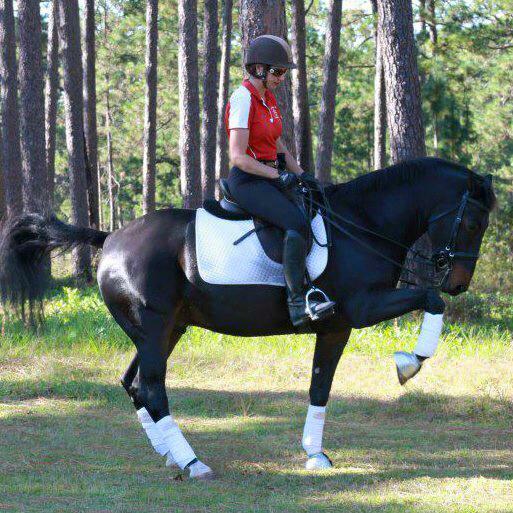 Marsha has been featured in Horse Illustrated, Tallahassee Woman, Tallahassee magazine, WCTV's "People You Should Know", zootoo.com, and several other national publications. She has sent students to regionals and nationals in various disciplines, and has won numerous regional and national awards. 2007 Marsha's FSU team was #2 in the region, and Marsha sent 4 students to Semi-Nationals. 2008 Marsha's FSU team was #1 in the regional, and 7th at Semi-Nationals, and two students went to Nationals. Marsha's student Kate Gainey was #6 in the Nation. 2009 Selected for "Extreme Mustang Makeover" Trainers challenge. 2009 Marsha and Assistant Trainer/ Student, Mary Berlauk both finished in top 5 for "Extreme Mustang Makeover." Sept 2 2009, Featured in WCTV's "People You Should Know"
Oct 24th 2009 Finished 5th in National "Extreme Mustang Makeover in Murfreesboro Tennessee. Oct 31st-Nov 1 2009 Selected to ride in Clinic/Symposium with 6 time Olyimpian Robert Dover. November 8th 2009- Offical Host site for North American Studbook, 2nd kuering in the USA ever. 2010 Vice president Southwind dressage and Eventing Assoc. 2010 Finished 24th out of over 100 horses adopted for the "Supreme Extreme Mustang Makeover" is Forth Worth Texas. 2011- Started/ trained over 30 horses of varying breeds. 15 warmbloods, 3 American Warmbloods, Appolossa, Cleveland Bay, and a Gypsy Vanner. Also in 2011 started 6 completely wild mustangs. 2011- Had lessons and worked under over ten different nationally knowned and renowned trainers. 2011- 5th Place horse in Legends Division in National "Extreme Mustang Makeover" Competition, Tennessee. 2011- Working Student Jessie Freeland placed 2nd in Idols division of "Extreme Mustang Makeover" Tennessee event. 2011 Year End Champion SWEDA riding "PetersCreek Morning Glory"
2011 Year End Champion SWEDA Riding "COBRA"
2011 Year End Champion SWEDA High Score Riding "PetersCreek Morning Glory"
2011 Year End Reserve Champion SWEDA riding "Onyx"
2013 Sponsored rider for Sandra B Designs, Pony Express Tack Shop, Tallahassee Dodge and Woolington Resturant supply. Horses sponsored by TRIPLE CROWN feeds and Southern States. 2013 Many USDF wins riding "Cobra" a formally wild mustang through 3rd level, his first year of showing just 3 years out of the wild, and Teddy, a homebred RPSI Gelding. Southern Oaks qualified 5 horses for Regionals at USDF region 3. 1. Take into account that great love and great achievments take great risk. 3. Follow the 3 R's: Respect for yourself, respect for others, responsibility for all your actions. 4. Remember not getting what you want can somethings be a stroke of luck. 5. Learn the rules so you can break them properly. 6. Don't let a little dispute ruin a great relationship. 7. When you realize you have made a mistake, take immediate steps to correct it. 8. Spend some time alone each day. 9. Open your arms to change but do not let go of your values. 11. Live a good, honorable life. That way, when you get older and look back, you will be able to enoy it a second time. 13. In disagreements with loved ones, deal only with the present, do not dig up the past. 14. Share your knowledge. It is a way to acheive immortality. 16. Once a year, go someplace you have never been before. 17. Remeber the best relationship is one where your love for each other outweighs your needs for one another. 18. Judge your success by what you had to give up to acheive it.